Ryan David Leaf was born on the 15th May 1976 in Great Falls, Montana USA, and is best known to the world as a former American football player, with NFL teams such as the San Diego Chargers and Dallas Cowboys. He was an active professional football player from 1998 until 2002, retiring with the reputation of being the worst draft pick ever in the NFL. 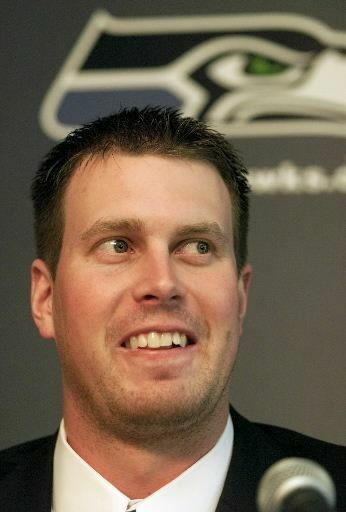 Have you ever wondered how rich Ryan Leaf is? According to sources, it is estimated that Ryan`s net worth is $1,000, an amount which could have been much greater, but Ryan has had numerous legal troubles which have caused his net worth to crumble away. Ryan grew up in Great Falls, where he attended the Charles M. Russell High School, where he was a leader of his high school football team, eventually winning the state title in 1992. Following high school graduation, thanks to his football skills, Ryan was offered scholarships to Washington State University and the University of Miami, eventually selecting the former. Ryan continued to dominate on the football fields, playing as a quarterback, he had 330.6 yards passing per game, and he made a record of 33 touchdowns in the then Pacific 10 Conference, in his first year. Ryan also led Washington to its first Pac-10 championship final in school history; however, they lost to the Michigan Wolverines. During his college career, Ryan won several awards plus recognition: he was 3rd overall in the Heisman Trophy Voting in 1997, and won the Sammy Baugh Award that year. His professional football career began in 1998, when he decided to enter NFL Draft a year before his graduation from University. He was selected as the second overall pick, behind Peyton Manning, by the San Diego Chargers, who traded several draft picks and Eric Metcalf to the Arizona Cardinals. Ryan signed a four year contract worth as much as $31.25 million, and had $11 million in guaranteed money, which certainly increased his overall net worth. Chargers had great expectations for their new pick, however, Ryan`s form was nowhere near the one he had in his college days. He was soon as a starting quarterback, due to his poor results, he finished his rookie season with only 10 games played and a terrible quarterback rating of 39. He sat out the entire 1999 season, as he suffered a shoulder injury, and had to undergo a surgery. The 2000 season was no better either; he played few games and had poor results, which eventually led to his release from the club. In 2001, he signed with the Tampa Bay Buccaneers, but didn`t stay long, as he refused to be the fourth quarterback on the team, and was waived by the Buccaneers before the season even began. However, Ryan soon found a new engagement, as the quarterback for the Dallas Cowboys, but still he couldn`t find his form, and the team decided to let him go in May 2002, after he played only four games. His next stop before retirement was the Seattle Seahawks, signing a one year contract, but he decided to retire before the Seahawk`s 2002 had even began. Ending his career at only 26 years of age, Ryan brought negative media attention on himself, numerous commentators and analysts named Ryan as one of the biggest busts (failures) of the NFL Drafts. After retirement, Ryan had numerous problems with drug addiction, partly as a result of eight surgical procedures he had during his active career. He became hooked on painkiller as well as illegal drugs, and all this resulted in a five year sentence, but he was released from jail and put under supervision of the Great Falls Probation and Parole. Nevertheless, these events just about broke his bank, his net worth now virtually zero. In the rest of his less-than-private personal life, before his drug problems began, Ryan was married to Nicole Lucia, who is a daughter of famous radio personality Ray Lucia, from 2001 until 2003. 1 Professional football player with the San Diego Chargers (1998-2000) and Dallas Cowboys (2001). Was on the rosters of (but did not play for) the Tampa Bay Buccaneers (2001) and Seattle Seahawks (2002).